It can be tough to keep up with all the latest new vehicle technologies, as something cutting-edge one year might be a standard feature the next. 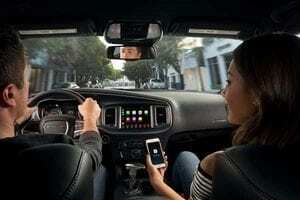 Chrysler, Jeep, Dodge and RAM strive to keep on the forefront of innovative technologies amongst any class of vehicle. 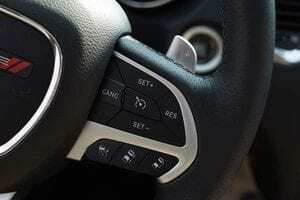 Here are just a few examples of the latest high-tech features available in our vehicles. Cruise control technology continues to improve, and the new system will help monitor the traffic ahead of you and regulate your speed. With Stop and Go technology, Adaptive Cruise Control can even automatically bring your vehicle to a complete stop in stop-and-go traffic, and prompt you to resume when traffic starts back up. With so many bells and whistles, you don’t want to be fumbling around your dashboard for features or taking your eyes off the road in search of displays. 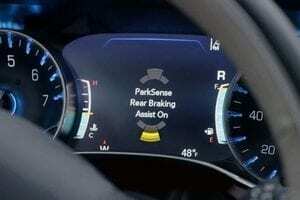 Thanks to the Advanced Information Display, everything you need is right in your line of sight. Get alerts from your driver-assist systems, check your fuel economy range, even get turn-by-turn instructions if you have an integrated navigation system. 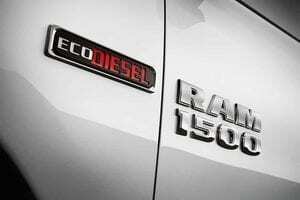 Available in the RAM 1500, the EcoDiesel engine provides astonishing power with the kind of fuel economy you might expect from a mid-sized car! The 3.0 litre V6 can dish out 240 horsepower and 420 lb.-ft. of torque, with some of the best towing power in its class. Throw in an impressive 35 mpg on the highway, and your EcoDiesel truck will more than pay for itself over the long haul. With the use of video sensors, a vehicle equipped with the FCW system is able to provide an audible alert you when you’re following too close to the vehicle in front of you. If it looks like a collision is imminent, the vehicle will actually apply some brake force automatically to lessen the blow. If you need to slam on the brakes, the same system will increase the brake pressure to help your vehicle can stop on a dime. 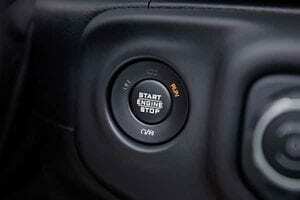 This life-saving feature is now standard in many Chrysler, Jeep, Dodge and RAM vehicles. Never fumble for your keys again, thanks to Keyless Enter ‘n Go™ technology. With nothing more than your key fob in your pocket, you can access your vehicle just by pulling on the door or trunk handle, and start it with the push of a button – even remotely! The Keyless Enter ‘n Go™ system is also a theft-deterrent, as your vehicle won’t move without your key fob present. Pulling into those pesky parallel and perpendicular parking ports can be precarious! Park Assist systems can help, using sensors to help find an open space, and even aid your vehicle in steering into the spot, while directing you on when to hit the brake or accelerator. 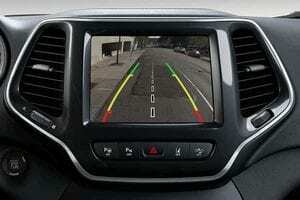 Also keep a set of eyes on the back of your vehicle with a ParkView® Rear Back-up Camera. The system comes standard on many Chrysler, Jeep, Dodge and RAM vehicles, and shows you what’s directly behind you when begin to slowly reverse. Dynamic gridlines help guide you into that parking spot, trailer hitch or campsite. A one-stop-shop for all your entertainment, smartphone, and information system needs. With Uconnect®, you can access your local radio, satellite radio, GPS navigation. Use Bluetooth to sync up your smartphone to listen to your playlist, and go hands-free with your calls or text. With Apple CarPlay or Android Auto™ you can even access many of your apps while on the go!